We knew this was coming from a teardown a while back, but it's finally here. 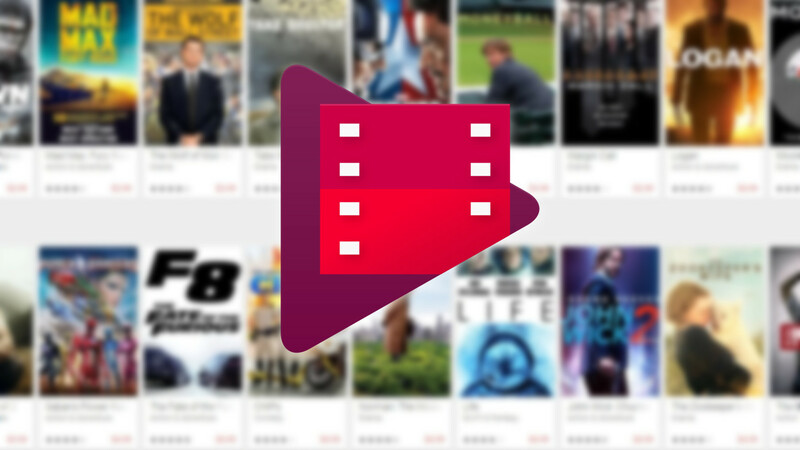 Now you can watch supported content from Google Play Movies & TV in glorious HDR. At least, if you have a Chromecast Ultra and a compatible television. This latest change brings Google to parity with Netflix, which also supports HDR for some of its streaming content (even on phones, catch up Google). As you'd expect, what you are watching needs to actually have been prepared for the format, so old Star Trek reruns are probably out, unless they do another remaster. You'll also need an HDR-compatible TV. HDR isn't a great name. Something like "Expanded Gamut Color" or even just a defined color space would probably be better since the term HDR has been used to mean other things for a while. But, it's the name that marketers have decided they like, so us consumers are stuck with it. At its most basic, it just means there's more data for a wider range of color. The odds are that this implementation is the HDR10 Media Profile announced in 2015 that YouTube also uses. 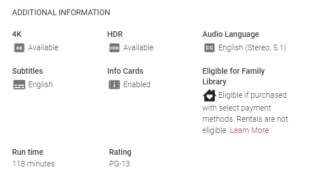 Right now you can check out all the HDR films available via this convenient list Google put together. It looks like there are 42 movies right now. Prices to buy titles in HDR are appropriately ridiculous, in the range of $20-30, almost all being $29.99 (the same price as most other 4K content). 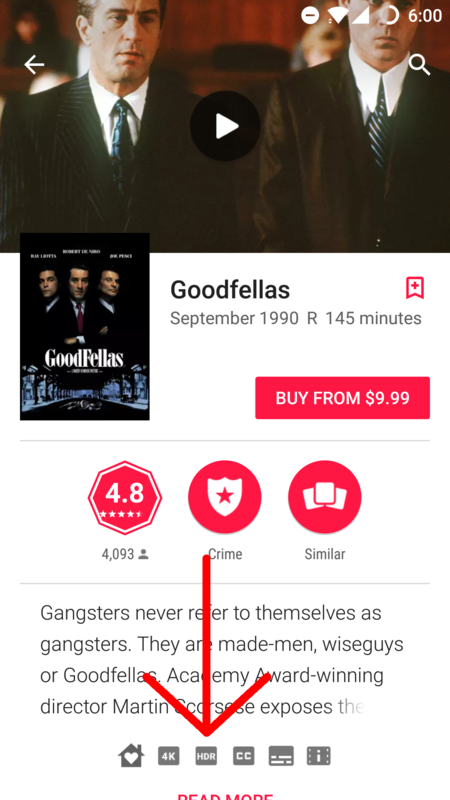 When browsing listings on the Play Store, compatible media will have a little "HDR" icon, or explicitly show HDR as available in the Additional Information section via desktop. Google's requirements for watching HDR content are a minimum of 15Mbps, and a Chromecast Ultra plugged into a compatible television. It is possible that it might work with a compatible Android TV (Google's support documents make this claim, but later refute it, so YMMV). If your speed drops too low, or your device doesn't support it, expect content to play in a lower HD or SD quality. Right now things also seem to be US/CA only (according to an indirect statement on Google's help page), so if you live in another area, you are out of luck, for now.